Listen here or Download (32mb and is archived in zip file). I am grateful to Emlyn Harris for allowing me to share this podcast with you. If you use iTunes, it is available there as well. The Sexton’s Tales series were originally broadcast by the BBC between 1995 and 1997. 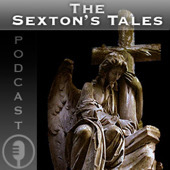 This episode, narrated by the writer Emlyn Harris, features the tragic life and death of Elizabeth Siddal. Siddal’s body was exhumed from London’s Highgate Cemetery following a request from her husband Gabriel Dante Rossetti to retrieve a book of poems buried in the coffin. See Dead Interesting Production’s other project, the internet tv channel RealCornwall.tv (www.realcornwall.tv). The channel is airing a number of history film documentaries. 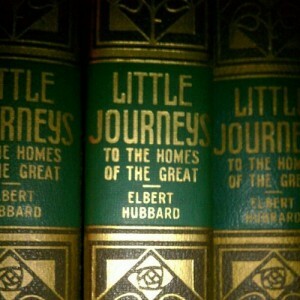 Little Journeys is a series of biographical essays written by Elbert Hubbard (1856-1915) Each volume is thematic and contains several historical figures. A few titles include Little Journeys to Homes of Great Lovers, Good Men and Great, Famous Women, English Authors, American Statesmen, and more. From my personal collection, I have scanned portions of Little Journeys that are relevant to the Pre-Raphaelites. All files are in PDF form. 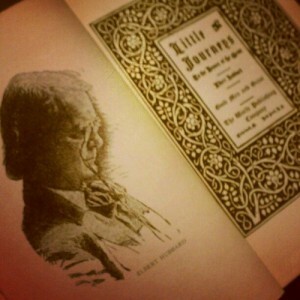 I have so much gratitude to my friend Jack Challem for sharing his in-depth analysis of DGR and Elizabeth Siddal’s handwriting. While my partner was studying for her textile design HNC she looked at Ruskin/William Morris and the Linin Industry in the Lake District. Having read some of her books on Ruskin I came to the conclusion that he may have been a man of his time but certainly not one of mine. I hold no credence with cultural/artistic dictators. Your download on John Ruskin was very interesting and a very good read, only confirming my view that he was incapable of communicating with the working classes and lived on a different planet regarding his views on women. Having said all that I have still booked on a course at Brantwood “Paint like Ruskin” I do like his studies, sketching and painting technique. Just read the William Morris download, unlike Ruskin I liked the man in this article.